Well I'm finally back to blogging. I missed this little space of mine. 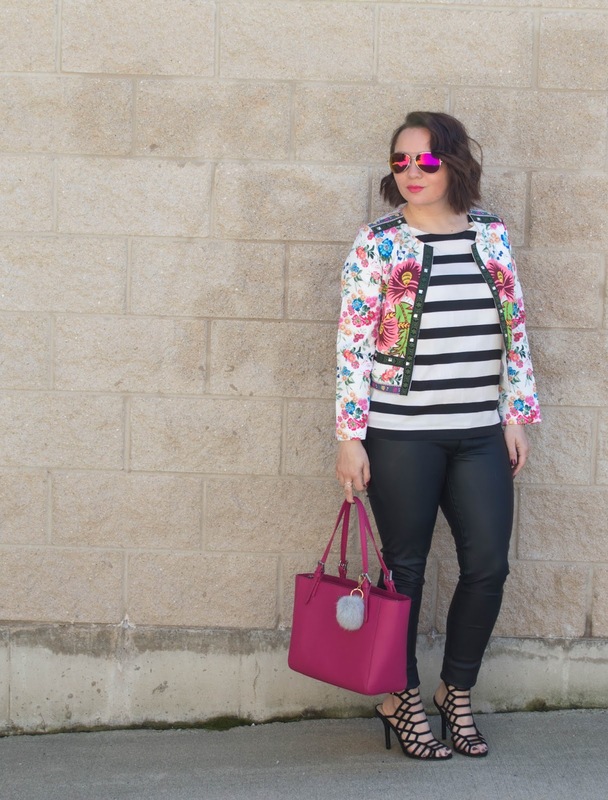 I've always been a huge fan of mixing patterns. So what a better time then Springtime! 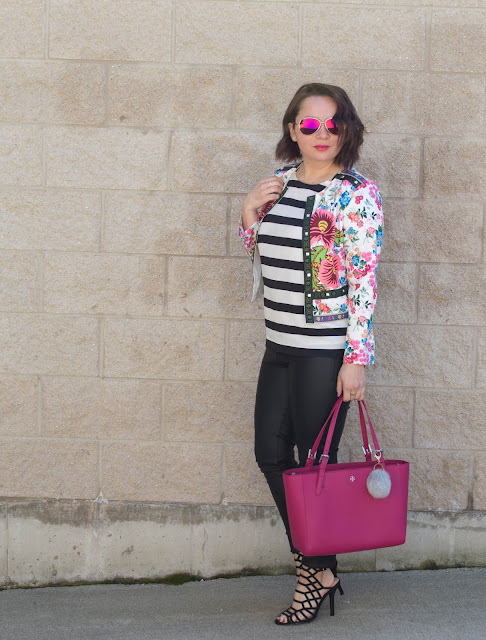 I love this jacket from ℅ ROMWE I've already worn in multiple times. I love the idea of pairing it with a pattern a little more harsh. 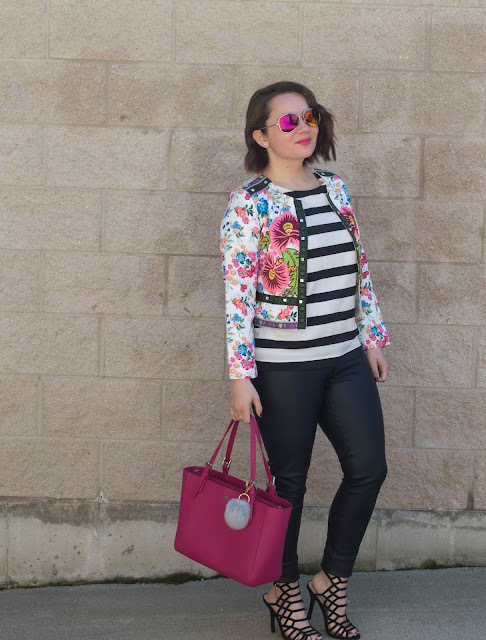 These bold stripes did the trick and of course I had to add a little leather. have been an instant favorite. Also they are super comfortable and you can't beat that. So tell me what are you wearing this Spring? Sabrina thanks lady :) I do too! The floral jacket and sunnies are to die for! YOU SLAY!!! 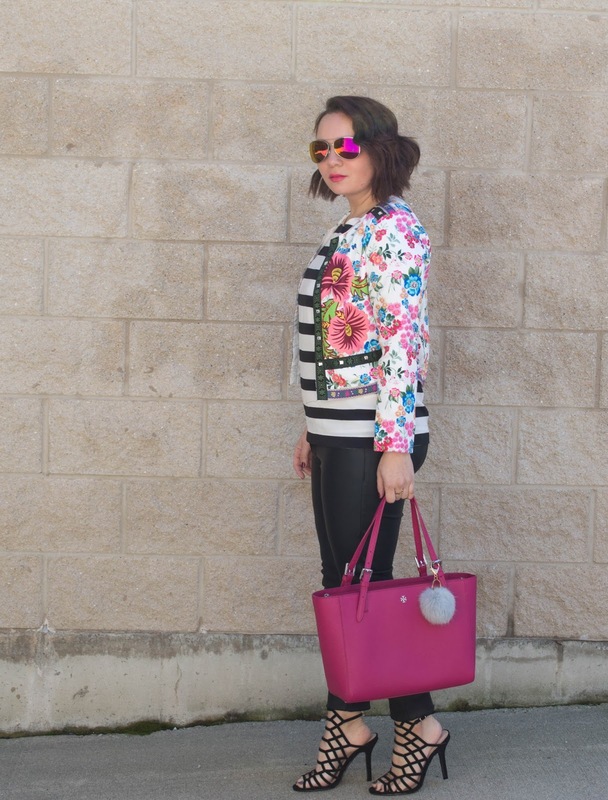 Loving the pop of pink with you lip and bag and top to mix with the black and white of this outfit! So Spring! Cailyn thanks lady :) It's a great combination! Love the heels and the fur pompom on your bag! Love those super cute pants! Kari, Thanks lady! I love those pants I really need to stop wearing them!! Ugh you know I love this blazer. You look so damn good- and I need those shoes. Love you! Chloe haha yes that blazer is a total win and man do I wish you were my size! Cara thanks so much :) It's a great spring look! So glad to have you back blogging - and that jacket is soooo chic! 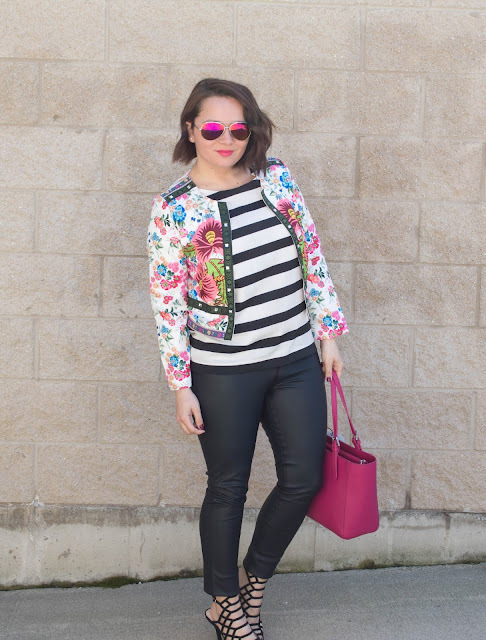 Love that fun and vibrant jacket! The Tory Burch tote is gorgeous too! I love it! the colors are amazing, you look great!